Frank Ocean’s biggest selling point was always his potential. 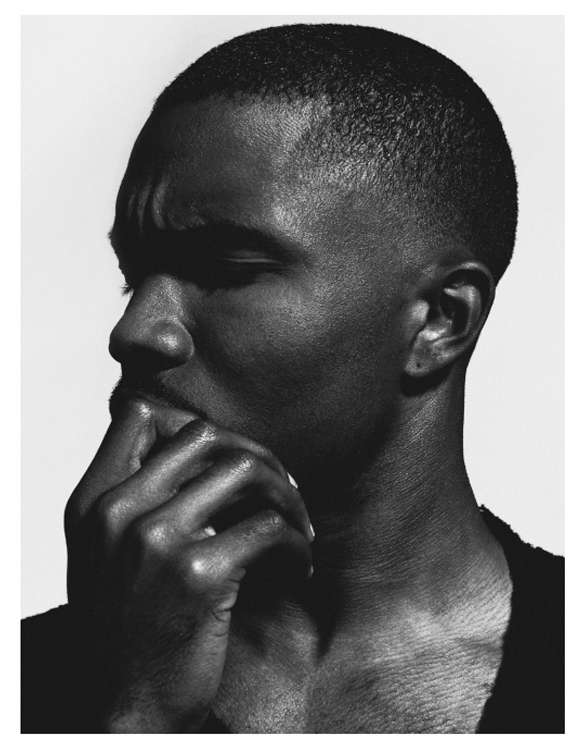 From his mixtape nostalgia, Ultra to his writing credits to his debut album Channel Orange, we all saw his potential. We all knew that he had the ingredients necessary to really be something. To really change music as we know it. But I’m not sure he has delivered yet. Being the music addict that I am, I’ve probably listened to every Frank Ocean song that isn’t locked away in some vault. And since the first time I heard of him, I’ve been impressed. Not because I think he’s one of history’s most gifted vocalists (he’s not). Not because his look or the marketing efforts of his label were inescapably compelling (they weren’t). But because it’s not every day that you hear someone put that much effort into the details. His songwriting, both in his own work and the work he has contributed to others, has consistently been original and striking. In a musical landscape where mediocrity and simplicity have become the norm, one can’t help but appreciate his artistry. But what I don’t appreciate is undue praise. What has Frank Ocean actually done to warrant everyone waiting on pins and needles for his new music? His voice is frail, caterwauling, and prone to sharpness. In a word, his singing is unremarkable. And yet, people act like he has led the commanding career of an artist like Beyoncé. His first mixtape was only released in 2011. This is an artist that hasn’t even been professionally in the industry for longer than 5 years. And now with the release of the “visual” album Endless and ne LP Blonde, the “mysterious” singer has people falling all over themselves again to be the most outrageous in their fawning praise of his efforts. We have to stop acting as if Ocean’s brilliance is guaranteed. That simply isn’t true. He is being lumped in with legendary artists that have taken extended periods of time to craft their work like Sade, Maxwell, D’Angelo, and Lauryn Hill, and to do that is to disrespect the contributions those artists have made. Having an album that you’ve kept fans waiting on since 2012 is not the result of a creative musical genius, it is an extended marketing campaign for an artist who needs the hype to validate his art. Did Beyoncé need to drop years of hints and play peek-a-boo with her fans prior to releasing Lemonade? Has Sade ever had to employ a massive marketing campaign to get people interested in their albums? Had Maxwell ever been purposefully secretive or mysterious toward his fans? The answers are no on all accounts. And if we’re being really honest, I think we all can agree that these artists are all better singers and more deserving of a fervent and loyal fanbase (if we can’t agree on that, you should’ve given up on this article before you started). But here we are with The Atlantic calling his work “too original, strange, and gorgeous not to inspire obsession” and The Guardian calling it “brilliantly confounding”. Here we are with him putting out work with minimalistic effort through Apple Music, with the public disregarding the capitalistic levers at work here. Until we can collectively challenge the ways that unnecessary and sometimes unearned hype influences the things we deem important, we’ll all be doing this same song and dance again when Frank Ocean releases his next project half a decade from now.